Carl Harry D. Williams Claybourn was born on 27 May 1888 in Kinmundy, Illinois, as the seventh child of Reuben and Mary Ann Claybourn. He married on 30 June 1914, to Esther Victorine Slankard. [Esther Slankard was born on 11 June 1897 in Alexander County, Illinois.] On his World War I draft registration card Carl indicated that he worked as an automobile mechanic, and that he was of medium build, slender, and had dark blue eyes and light brown hair. It is not clear that he served in the conflict. Carl and Esther lived in Mt. Vernon, Illinois but had moved to Springfield, Illinois by 1917. By 1928 they had made their way to Fort Worth, Texas, and then in 1930 they were living in Albuquerque, New Mexico. The couple had seven children, listed below. Esther died on 5 May 1937 in Bernalillo County, New Mexico. She is buried there in Sunset Memorial Park Cemetery. Carl died roughly four years later on 20 July 1941 in Chicago, Illinois, and is buried there in Hill Memory Gardens Cemetery in Will County, Illinois. Oliver Carl Claybourn was born on 17 April 1915 and lived in Columbus, Georgia. On 13 November 1941 he enlisted in the armed services at Fort Bliss in El Paso, Texas. Oliver served as a Private in the Air Corps. 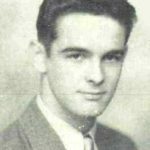 His World War II elistment record indicates he had three years of high school, worked as a carpenter, was 6’4″ tall, and weighed 159 pounds. [National Archives and Records Administration. U.S. World War II Army Enlistment Records, 1938-1946 [database on-line]. Provo, UT, USA: Ancestry.com Operations Inc, 2005.] In 1942, during the height of the war, Oliver married Crystell Keen (born on 1 August 1924 in Lee County, Florida). They had two children, listed below, and by 1955 they were living in Columbus, Georgia. Oliver died on 11 August 1963 in Phenix City, Alabama. He is buried in Lakeview Memory Gardens Cemetery in Russell County, Alabama. After his death, his wife Crystell married (2nd) in March 1965 to John Creighton Forsyth (1918-2006). Crystell died on 16 November 1993 in Marion County, Florida, and is buried with her second husband in Florida National Cemetery in Sumter County, Florida. Carol Louise Claybourn was born on 13 August 1945 in Walla Walla County, Washington. She graduated from Fort Myers High School in Florida on 2 June 1964. She married (1st) in March 1966 in Lee County, Florida, to Max Allen Meeks and they later divorced there on 8 February 1972.In about 1972 she married (2nd) to Mr. Strobel. In about 1987 she married (3rd) to Mr. Quigley. She died on 14 December 2004 in Dunedin, Pinellas County, Florida. Robert Carl Claybourn was born on 21 December 1946 in Fort Myers, Lee County, Florida. On 28 May 1971 in Lee County he married Karen S. Galloway. There are Lee County divorce records for them for both 10 March 1977 and 29 January 1986. He may have moved to Phenix City, Alabama, to learn the sheet metal trade. He died in January 1996 in Alabama. Esther Eugenia Claybourn (“Jean”) was born on 7 August 1916. She married (1st) Moran Pierce (born in December 1916 in Eastland County, Texas). He was a truck driver who may have attended New Mexico Industrial School. 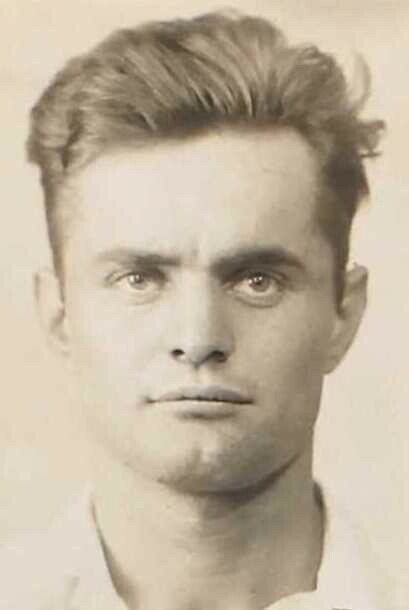 In 1937 he was convicted of kidnapping for the purpose of robbery and first degree robbery in Kern County, California. As of 22 June 1937 he was in California State Prison at Folsom. In the 1940 census he is listed as married and living in Folsom State Prison. He was moved to San Quentin Prison in Marin County, California, on 3 August 1945 and then freed on parole on 23 October 1945. He was convicted of armed robbery again in Texas in September 1946. As of 12 September 1946 he was in Huntsville Prison in Walker County, Texas.Esther enlisted in the Women’s Army Corps during World War II on 30 June 1943 and is listed as separated with no dependents. Esther married (2nd) Lynn A. Peggy. They had one child, listed below. Esther died on 31 December 1964 in New Mexico. U.S. Veterans Gravesites records show that Esther died on 31 December 1967 and was buried on 8 January 1968 in Santa Fe National Cemetery in Santa Fe County, New Mexico. Denise Lynn Claybourn was born on 6 March 1949. She lived with one of her uncles or aunts in Albuquerque for a short time before she was adopted at about the age of two by a family with the surname of “Brown”. She lived with Juanita Wilkes in McHenry, Illinois, before joining the Women’s Army Corps. Denise eventually married, took the surname of Sorwell, and lived in the Denver area. Denise had one daughter, Michelle Marie Hagan, who worked as an emergency room nurse in Texas. 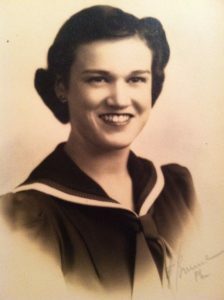 Juanita Ann Claybourn was born on 28 April 1918 in Sullivan, Moultrie County, Illinois. In about 1934 married (1st) to Jeptha Cecil Triplett. [Jeptha Triplett was born on 8 October 1915. He died on 5 February 1978 in Orange County, California.] They lived on South Talman in Chicago, Illinois, and had four children – Shirley, Jeptha, Barbara, and Harry – listed below. On 28 January 1950 Juanita married (2nd) Walter Scott Wilkes and the two lived for a time at 808 Southgate, McHenry, Illinois. [Walter Wilkes was born on 11 August 1906 in Illinois.] They had two children, Alan and Ann, listed below. Walter died in June of 1985 in McHenry County, Illinois. Juanita died on 6 May 1998 in Wauconda, Illinois. She is buried with her second husband in Woodland Cemetery in McHenry County, Illinois. Shirley Ann Triplett was born on 10 March 1935 in Albuquerque, New Mexico. She died on 16 April 1977 in Chicago, Illinois. She is buried in Woodland Cemetery in McHenry County, Illinois. Jeptha Cecil Triplett, Jr., (“J.C.”) was born on 18 May 1936 in Albuquerque, New Mexico. He was a veteran of the U.S. Army as a 1st Lieutenant and served in the Korean and Cold Wars. He received his master’s degree and was a licensed drug and alcohol counselor. On 21 January 1963 in Hartford County, Connecticut, he married Ann Elizabeth Moraska, a pharmacist. They had at least one child, Amy. They divorced on 8 October 1991 in Frederick County, Virginia. Jeptha died on 5 March 2012 in Martinsburg, West Virginia. He is buried in Culpeper National Cemetery in Culpeper County, Virginia. Barbara Glendora Triplett was born on 13 January 1941. She died on 3 June 1958 in McHenry, Illinois. Harry Ross Triplett was born on 3 May 1942. He served in the U.S. Navy for five years and had a successful career in sales. He married Dianne G. Smuske on 10 September 1966 in Los Angeles, California, and made his home there for forty-eight years. He loved baseball and coached Little League. He also loved acting in community theatre and enjoying Manhattans. Harry died on 4 August 2014. Allan Scott Wilkes was born on 10 June 1950 and later married and had two children. He worked as a telephone repair man and lived in the Chicago area. Ann Marie Wilkes (“Annie”) was born on 30 June 1954. She married and had two children, and lived in McHenry, Illinois. Victor Noel Claybourn was born on 28 August 1919 in Springfield, Illinois. He was a private in the Air Corps in World War II. On his enlistment records he listed his occupation as a baker. He married (1st) Ruth Martines but they divorced. He married (2nd) on 2 July 1941 to Dorothy Mae Clark. [Dorothy Clark was born on 2 May 1920 in Janesville, Wisconsin.] They had one child, Victor Noel Claybourn, Jr., listed below. He married (3rd) to Rose Marie Schavio (born on 4 September 1921 in Sicily, Italy) in about 1947 and they had two children, Ronald and Kathleen, listed below. They divorced in February 1972 in Santa Clara County, California. Victor died on 10 March 1983 in Los Angeles, California, and is buried in the Los Angeles National Cemetery. 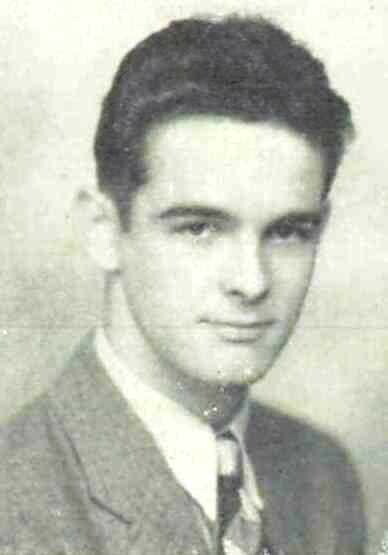 Victor Noel Claybourn, Jr. was born on 11 May 1942 in Sutter County, California, and died the same day. Ronald Vance Claybourn was born in April of 1948. He obtained a degree in oceanography from the University of Washington and worked at Lawrence Labs in Livermore, California. Kathleen Ann Claybourn was born in 1949 in Santa Clara County, California. Lois Bea Claybourn was born on 7 August 1920 in Springfield, Illinois. Lois married on 9 October 1938 to Claude R. Henry (born on 8 August 1918 in Union County, New Mexico). 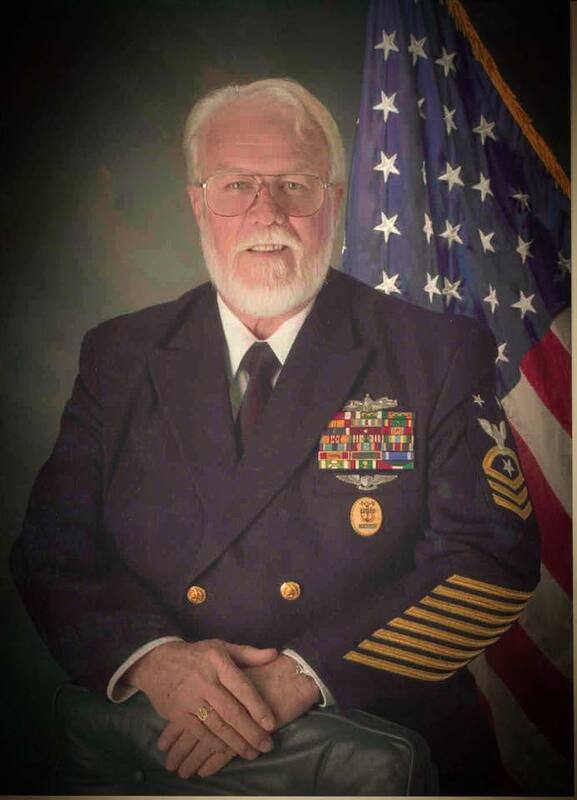 He graduated from the University of New Mexico and served in the U.S. Navy from January 1943 to December 1947. The two lived on Garden Park Drive in Albuquerque, New Mexico. They had two children, listed below. Lois died of cancer on 15 September 1966 in Albuquerque, New Mexico. She is buried there in Sunset Memorial Park Cemetery. Her husband Claude married again to Dorothy Elouise Lash (1920-2014) in about 1969 in Bernalillo County, New Mexico. She had two sons from previous marriages and was a step-mother to his two children with Lois. Claude died on 19 February 2001 in Albuquerque and is buried in Santa Fe National Cemetery with his second wife. Richard Lee Henry (“Chip”) was born on 24 November 1939. He worked as a dentist in Denver, Colorado, and had at least one child. He married (1st) on 24 May 1957 to Karolyn Ann Thornton and they divorced on 25 April 1983 in Fauquier County, Virginia. He married (2nd) to Donna B. Thayer on 26 April 1987 in Northampton County, Virginia. He married (3rd) to Penny Anne Campbell in about 2000 in Bernalillo County, New Mexico. 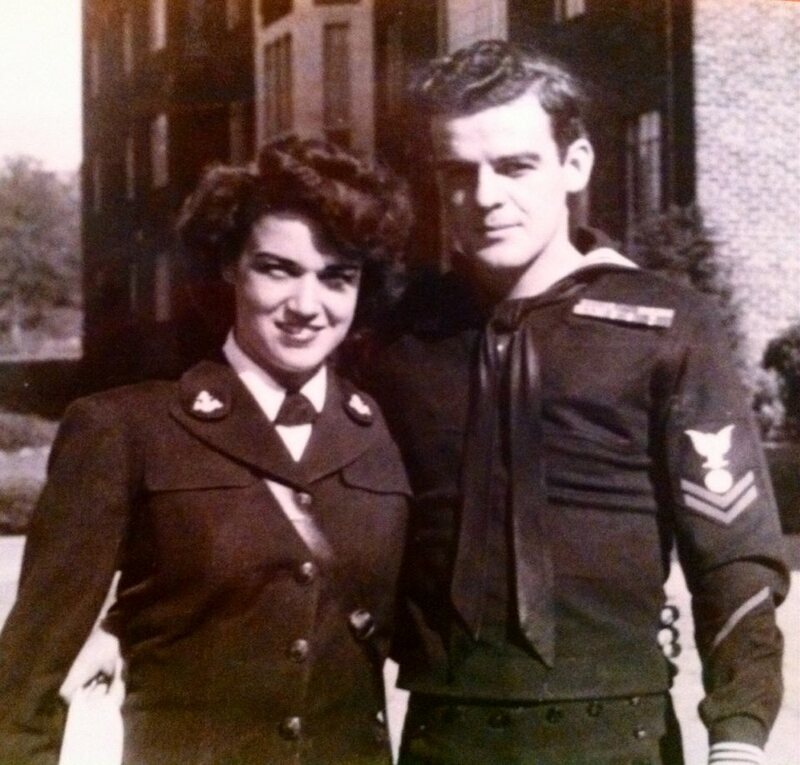 Janice Darlene Henry (“Jan”) was born in 1942 and married Patrick Sheppard, a Navy Captain. Jan and Patrick had at least one child and lived in Virginia Beach, Virginia. Of almost 800 Allied prisoners of war, 687 were killed. Fifteen or twenty prisoners were recaptured by the Japanese and taken aboard one of the torpedo boats, where they were executed by firing squad as punishment for trying to escape. Eighty-three Americans, including Charles, survived the blast and subsequent shooting from the Japanese and swam to the shores of Sindangan Bay. There they received aid from friendly Filipino guerrillas and were later picked up by an Amer-ican submarine. Charles received the Distinguished Service Cross and two Oak Leaf Clusters for his service. He was one of the very few members of the Navy to earn the Distinguished Service Cross in World War II, and what makes his award even rarer is the fact that very few high awards were earned for actions by an individual being held as pris-oner of war. “But their plan hit an early snag. No place could be found in which to stage it. Party-wise hotel managers shook their heads sadly. No space available for such a gathering, they said, no space at all. The war, you know. “And then one night shortly before their departure, they got a break. They met a stranger who didn’t merely manage a hotel, he owned one. Furthermore, he was anxious to sell it. The price was 900 pounds, or about $3600. Divided among more than 40 boys, less than $90 each. “So they bought the hotel, and the party lasted for three nights and two days. On the morning of the third day, the boys emerged, tired and triumphant, but a little puzzled as to what to do with their hotel now. “They were standing in front of it in a group when a very pretty blonde started up the block in their direction. They looked at her, then at one another, then nodded solemnly. Charles married Genevieve Isabelle Martin on 22 September 1945 in Philadelphia. She served as a Storekeeper Second Class in the U.S. Navy from September 1944 to February 1946. [Genevieve Martin was born on 5 June 1924 in Philadelphia, Pennsylvania, as the daughter of F. Kendrick Martin of Philadelphia, Pennsylvania.] After World War II Charles and Genevieve settled in Kingsport, Tennessee, and had the five children listed below. Charles was a sales manager of a factory which manufactured one-way opaque glass. Charles died 15 November 1986, and Genevieve passed away on 13 February 1992. Both are buried at Beaufort National Cemetery in South Carolina. 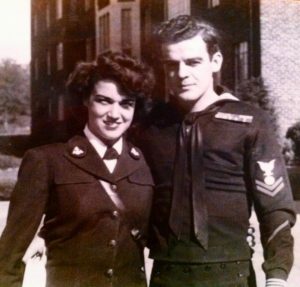 Charles and Genevieve in 1945 when they were first married. Charles Lance Claybourn was born on 13 July 1946. He spent his youth traveling as a Navy dependent and those travels ended in Kingsport, Tennessee, and thereafter called that home. 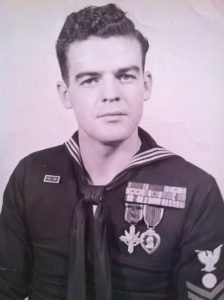 He graduated from Holston High School and attended East Tennessee State University for a short time following.In January 1964, at the age of seventeen, Charles enlisted in the United States Navy and during his thirty-three year career he served aboard nine ships and visited eighty-nine countries. He saw action in four theatres: Vietnam, Desert Shield/Desert Storm, Bosnia, and Somalia. Other duty stations included the Pentagon, the Bureau of Naval Personnel, and Officer in Charge of Naval Personnel at Marine Corps Base Quantico. Charles spent his last eight years in Norfolk and Virginia Beach, Virginia, serving as command master chief aboard three ships, Squadron Master Chief Naval Amphibious Squadron 10, and Group Master Chief Naval Amphibious Group 2. 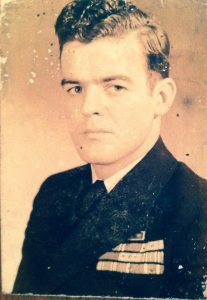 His counsel and leadership throughout his Naval service helped mold innumerable sailors and junior officers on their respective career paths and was highly respected by officers and enlisted alike. He was long considered a “sailor’s sailor” and was referenced by many as their “Sea Daddy.” The best which can be said about his life as a sailor is that it was full of “Blood and Swash” and salt water ran in his veins. He married (1st) Mary F. Waters on 17 February 1969. They had one child, Jason, listed below. He and Mary divorced in 1973. Charles married (2nd) on 15 July 1978 to Delores R. Trostle, a chief yeoman in the U.S. Navy. They had twins, Charles and Stephanie, listed below. Charles and Delores divorced on 11 December 1997. Charles married (3rd) Mary Seward Kelly on 13 July 1998. After retiring from the Navy in October 1996, Master Chief Claybourn was employed by American Veterans (AMVETS) as a National Service Officer at the Veterans Administration Regional Office in Winston-Salem, North Carolina, in which he assisted veterans, widows, and families with various claims through the Department of Veteran Affairs. He traveled throughout North Carolina doing pre and post deployment briefs to National Guard and Reserve Units in order to educate troops as to the benefits which may be available. In addition, he worked closely with the United Way, Experiment in Self Reliance, along with local and national elected officials to keep veterans issues at the forefront. Charles retired in April 2007, but remained active in advising veterans with claims concerning the VA. He spearheaded the resurrection of the Forsyth County Veterans Council, reinstated the Winston-Salem Veterans Day Parade and remained at its forefront for fifteen years. He was also active in many Veterans Organizations. Charles died on 22 January 2016 and was buried at sea. Charles Jason Claybourn (known as “Jason”) was born in 1970. He married Shayne Carlton on 15 September 1990 in Fairfield County, Ohio, and had two children: Trent Carlton Claybourn (born 25 January 1990 in Stewart, Florida) and Tyler Alexander Claybourn (born 6 October 1992 in Ft. Campbell, Ken-tucky). Charles and Shayne later divorced. Stephanie Leigh Claybourn was born on 31 October 1981 in Honolulu, Hawaii. She married Robert Harry Drumm III on 12 August 2006 and they had three children: (a) Aiden James Drumm (born 6 April 2007), (b) Caleb Joseph Drumm (born 12 June 2009), and (c) Ethan Jacob Drumm (born 1 October 2016). Charles William Claybourn was born on 1 November 1981 in Honolulu, Ha-waii. He graduated from West Forsyth High School and attended Daytona State College. He served in the U.S. Army from 2005 to 2009. Charles married Tina M. Duncan on 27 June 2009 and together they had Kaydence Abigail Claybourn (born 12 June 2008). Charles and Tina divorced on 20 October 2014 and he later married Helen Elaine Stouffer on 12 December 2015. Helen had two children from a prior marriage: Destiny Marie Lay (born 15 June 2001) and Ezequiel Zachariah Lay (born 17 September 2005). Suzanne Marie Claybourn (known as “Penny”) was born in 1948. She married George Everett Hutcheson in February of 1967. They had one child, Steven, listed below. Suzanne married (2nd) Edward Upp in October of 1971. He was a glass pattern and mold maker. She and Edward had one child, Jeremiah, listed below. Steven Vincent Hutcheson was born on 16 November 1967 to Suzanne and George Hutcheson. He had one son, Tyler Steven Hutcheson (born on 30 November 1999). Jeremiah David Upp was born on 27 February 1974 to Suzanne and Edward Upp. Jeremiah married Stacy Marie Rowley on 23 June 2007. Jeremiah and Stacy have a son, Bridger William Upp, born on 7 September 2010. Their daughter, Annika Louise Upp, was born on 3 May 2012. Steven Lynn Claybourn was born on 11 April 1949. He attended Holston High School in Blountville, Tennessee, and Ohio University. He married (1st) to Patricia Grigsby on 4 May 1972 in Fairfield County, Ohio, but they later divorced on 12 April 1976. On 24 February 1990 he married Joan Williams in Hamilton County, Ohio, and together they had two children, listed below. Steve worked with various telecommunications companies from 1987 to 2002. Thereafter he formed Masea Motorsports LLC and operated it as president until he sold it to employees in 2007. He and his family resided near Cincinnati, Ohio. Andrew Claybourn was born on 22 July 1991. He studied at Mississippi State University and married Brittney Fey on 8 July 2017. They had a son, Gunner Daniel Claybourn, born on 21 November 2017. Hannah Claybourn was born on 7 December 1993. David Mark Claybourn was born in 1950 and worked as a quality assurance engineer, specializing in nuclear fuel and fossil power plants. He lived in Palacios, Texas. Anne Michelle Claybourn (known as “Michelle”) was born on 29 March 1956. She married Wayne A. Scott, a warehouse foreman. They had three children, listed below, and later divorced on 7 February 2005. Michelle worked for the U.S. Department of State and due to this her family moved around between the Philippines, Bolivia, Italy, and Morocco. Later she worked for the Drug Enforcement Administration. Jessica Laurel Scott was born in 1977 in Lancaster, Ohio. She graduated from Lancaster High School in 1996 and Ohio University in 2001 with a degree in special education. She married Justin P. Lape on 14 July 2001 in Fairfield County, Ohio. Amanda N. Scott was born in 1982. She married George A. O’Dell on 4 May 2002 in Fairfield County, Ohio. Shannon Scott was born on 27 June 1984. She graduated from Lancaster High School and then obtained a degree in business and religion from Ohio Christian University. She had two children. Verner Marcus Claybourn (“Little Vern”) was born on 1 January 1923 in Farmingdale, Sangamon County, Illinois. He attended Menaul High School in Albuquerque, New Mexico. He served in the U.S. Coast Guard in World War II and was later Ship’s Officer for the Texas Oil Company. He settled in Port Arthur, Texas, and married on 29 November 1950 to Reba Mae Suire. [Reba Suire was born on 22 May 1929.] They had two children, Vicki and Sally, listed below. Verner died on 27 September 1994 in Dallas, Texas. He is buried in Greenlawn Memorial Park Cemetery in Jefferson County, Texas. Vicki Sue Claybourn was born on 8 February 1954 in Jefferson County, Texas. She married (1st) on 3 April 1974 in Hardin County, Texas, to James W. McMichael and they quickly divorced on 16 July 1974 in Jefferson County. She married (2nd) on 16 June 1977 in Jefferson County to Andrew P. Daigle and they quickly divorced on 11 January 1978 in Dallas County, Texas. Sally Ann Claybourn was born on 16 January 1958 in Jefferson County, Texas. She married on 29 December 1979 in Dallas County, Texas, to Roger Robert Webster.